A sandy track on the north shore of Salt Cay. Driving an off-road golf car on Salt Cay can be a lot of fun. 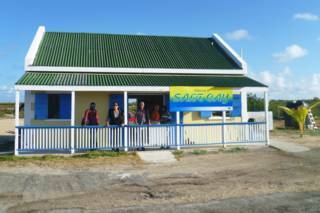 Salt Cay is very small island with an equally small resident population. The transport options are limited to golf carts, bicycles, and walking. There are no taxis, conventional rental cars, or bus services. There are also no paved roads on Salt Cay. The main settlements have hard-rolled limestone quarry roads, and the more-remote beaches and coasts are accessed by sandy tracks and paths. Salt Cay is only about 3.8 miles (6.2 km) from Northeast Point to South Point, which are the extreme ends of the island. 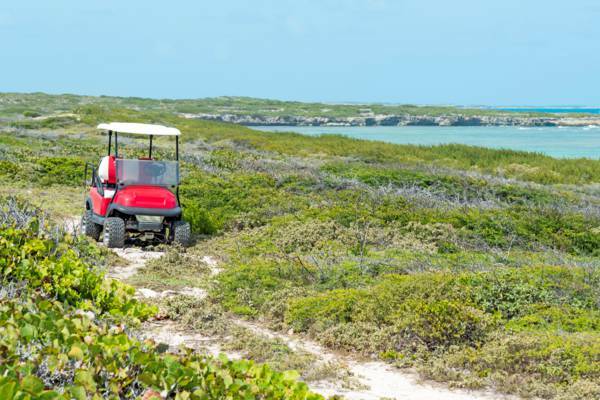 Our recommendation, especially for day trip visitors, is to rent an off-road golf cart. With such a vehicle, you’ll be able to see all of the main sights easily in one day. Bicycles can be a good way to get around the main settlements of Balfour Town and South District, especially if you’re staying on the island for a few days and you’re not confined by the time constants of visiting on a day trip. Due to the sun and heat, cycling can be a bit strenuous, especially when travelling to the outlying locations. It’s important to keep in mind that the sun and heat can be quite intense on Salt Cay. The island is located on the far eastern side and upwind of our archipelago, and consequently doesn’t experience the late afternoon clouds that bring shade to the Caicos Islands. If you’re planning to hike or cycle on Salt Cay, be sure to bring plenty of drinking water and sun protection. 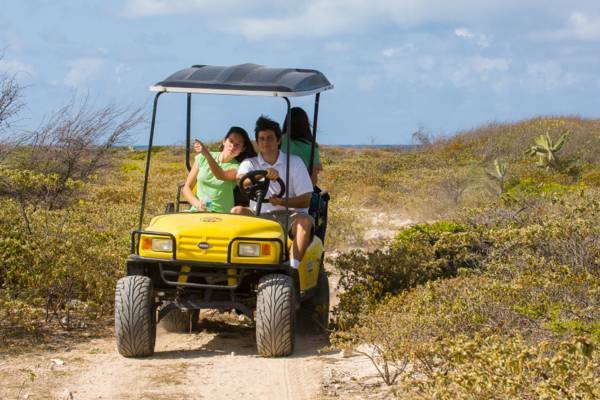 If you’re visiting Salt Cay from Providenciales or Grand Turk on a day trip, we advise selecting a golf cart over bicycles so as to be able to conveniently and pleasantly see all of the main sights and beaches. It’s quite fun to cruise about the island on these little vehicles! Scooters are available for rent, but keep in mind that the sandy and rocky roads of Salt Cay are far better suited for the off-road golf carts. Several of the rental villas and accommodations include the complimentary guest use of bicycles and golf carts. Inquire when booking. The coastal tail at Long Bay and Taylor's Hill. Small unsurfaced trails lead to the many beaches, coasts and salinas that make Salt Cay such a scenic destination, and these routes vary in surface conditions. The western beach track that leads along the beautiful dunes from North Bay to Northeast Point is generally the most difficult due to the soft sand, which can bog down the golf carts. The roads to South Point and Long Bay tend to have rocky sections that are traversable yet restrict travel speeds. Gas engine powered off road golf carts are available for rent, with rates of about $50-100 per day (2018), which typically include the gas used. 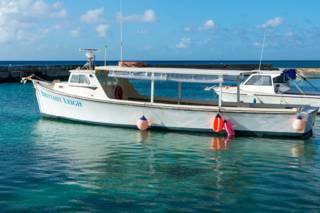 These vehicles are convenient, quiet, and are a perfect method of transport for Salt Cay. Most golf carts and buggies feature shade canopies, yet you’ll also want to bring a hat, sunglasses and sun screen, as it’s quite easy to get sunburnt. We recommend that you book in advance to ensure that a golf cart or scooter is available as there's a limited selection of vehicles available, especially during the winter whale watching season. 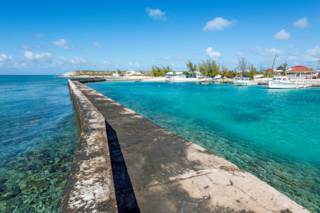 Deane’s Dock is the oldest harbour in the Turks and Caicos and the only port on Salt Cay. Along with the passenger ferry, local water sport businesses and fisherman use this complex. This small single runway and terminal airport is domestic only and services the island of Salt Cay. This business offers rentals of bicycles, scooters and rugged golf cart style vehicles. Reservations recommended.